Living… in a world torn apart by the deadly pandemic. 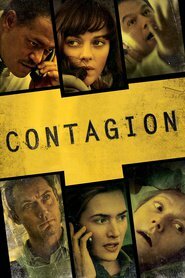 Mitch, who survives the initial outbreak of the disease, has lost his wife and stepson. Now, he’s left alone in suburban Minneapolis with his daughter, Jory. Profession… none. Mitch, who has been out of work for a while, relied on his “working mom” wife, Beth for the family income. Since Beth’s passing, he has done what he could to make sure that there was safe food for him and his daughter to eat, but it’s a task that grows more as the outbreak continues paralyze the country. Interests… his daughter. Mitch will do everything he can to make sure that Jory is safe from the deadly virus that already claimed the rest of his family. While Mitch himself has proven to be immune to the disease, he’s not sure if his immunity transferred to Jory, and is absolutely unwilling to take any chances. Relationship Status… recently widowed. Mitch and his late wife, Beth, had a seemingly happy relationship. However, after her death, Mitch learned that she’d been having an extramarital affair with a man in Chicago that she once knew named John Neal. Shocked by her infidelity, and unable to question his wife and gain some kind of understanding, Mitch is struggling to find closure. Challenge… do what he can to save his daughter and help find a cure for the deadly pandemic. Mitch, as one of the only human beings immune to the virus, wants to help anyway he can. Still, he’s no doctor, and understands that the most good he can do is keep his daughter safe – no easy task as the plague sweeps over the nation. Personality… warm, easy-going, and family oriented, Mitch is struggling to cope with the rapid changes in his life. His wife and stepson are now dead, his town is quarantined, and his daughter seems hell-bent on getting herself into trouble. An ordinary man facing extraordinary circumstances, Mitch’s basic decency and goodness is no safeguard against the deadly global pandemic that has taken almost everything from him. Mitch Emhoff's popularity ranking on CharacTour is #4401 out of 5,000+ characters. See our top-ranked characters and read their profiles.